“WHAT’S NEW.. BUENOS AIRES? !” PLUS, GOING, GOING, ALMOST GONE! Bay Street Theater in Sag Harbor has announced the three productions planned for the 2018 Summer Season. The first will be the World Premiere of FELLOW TRAVELERS, (May 29 – June 17), a new play that examines the relationship between legendary theater artists Arthur Miller and Elia Kazan and their close relationship to Marilyn Monroe. The show examines how the politics of the McCarthy era affected the friendship between the two and their work. The second will be FROST/NIXON (June 26 – July 22), by Peter Morgan. The third production is the musical EVITA, (July 31 – August 26) by Andrew Lloyd Webber and Tim Rice. I have to say, I love the selection and given the current political climate right now these plays couldn’t be more relevant. I think I’ve seen Evita more than any other Broadway show, Lupone, Rogers and others. One of my favorite numbers is “A New Argentina” which is the end of the first act. If you’ve only seen the movie, take a minute and watch this highlight from the 1980 Tony Awards with Patti Lupone as Eva Peron. Yeah, I know the window is dirty. What’s your point? Now from the don’t say I didn’t tell you department! East Hampton Village Beach passes for the Summer of ’18 are almost gone! According to agents at village hall only about 200 of the 3100 permits still remain. If you can’t make it out here you can go online andtake your chances and mail in your application. Click here for the details. Just remember if you don’t have a pass some select beaches will be selling daily passes, so you won’t be totally out of luck. But here is a better idea, you can get a bike and pedal there AND save about $40 by skipping the SoulCycle class. But what fun would that be? Nobody will get to see how good you look in your new Lululemon outfit! WARNING… BEACH PASSES ARE GOING FAST…. REAL ESTATE ACTIVITY AND A BRIEF RESTAURANT UPDATE! So my Monday Morning Market Report is on Wednesday Friday this week. Get over it. You have to be kidding Bill? I’m’ not running the train or the Jitney here. Well, not that being on time matters for the Hampton Jitney. The reason is we finally had a decent weekend where we didn’t have 3 feet of snow or freezing rain. I was busy. Once again I’ve spoken to my cadre of experienced brokers (about 10 in all from various companies and office) and they’ve given this weekend a “B-” rating. While it still hasn’t reached “the kind of traffic we should have this time of year”, things are definitely picking up. Rental inventory continues to remain good but there is a pent up demand according to many – potential tenants have been making inquiries but haven’t taken the trek out here to seal the deal. Look for that to change in the next few weeks. A few attorneys have also remarked to me, that they are now feeling the effects of the arctic blast from a few weeks ago and things are quiet. 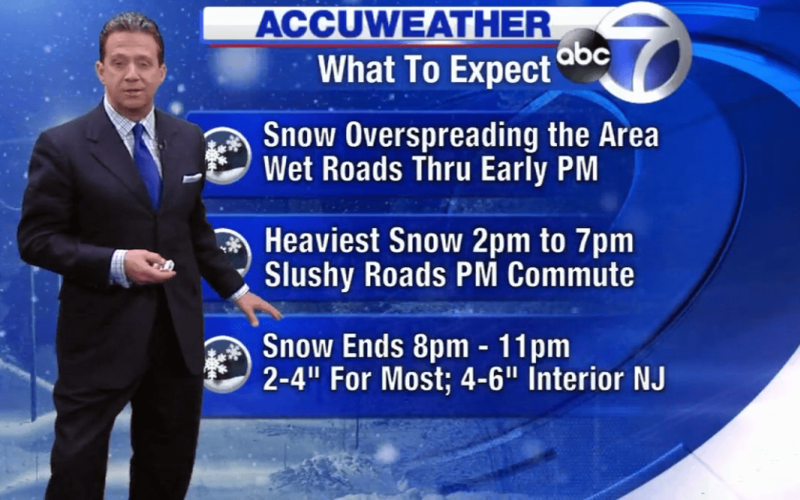 Meanwhile, Bill Evans on channel 7 WABC says we are in for another blast of winter this weekend, so pull that parka back out of the closet… you’re going to need it this weekend. Agents and brokers, get ready for all of the cancellations! Please keep the chicken pot pie on the menu and bring back the guacamole! Meanwhile, the clock is ticking for Beach Passes thanks to people buying them online. Make sure you do so soon. Sources told me they’re selling like hot cakes and they’re already 2/3 of the way to being sold out! It might not seem like it’s beach time yet but believe me it will be here before that next wrinkle on my your forehead! Click here if you want to get yours now! Finally, some quick restaurant updates! There is a new tenant getting set to move into the former Georgica Restaurant in Wainscott. Rumor around town is it’s going to be Italian and it’s a restaurant already here in the Hamptons….. Hmmmmmm. Anyone know? There’s been a ton of cars in the parking lot lately and seems there may be some renovations taking place.